I loved Star Wars Battlefront 2, still do. My friends and I have been known to fire it up on the older systems and give it a run to this day. So naturally I was excited when rumors started to trickle out regarding the production of a third addition to the franchise, but now I’m less than enthused. It seems EA Games, and the subsidiaries attached to the product don’t really get what made the predecessor such a beloved game. Hell, this game looks like a step backward in so many ways I can’t help but wonder if it’s merely a cash grab. EA is such an odd animal to me. On one hand the flagship and its subsidiaries can generate some truly great games. We’ve seen that recently with games like Mass Effect, the Dragon Age series, and I’m a fan of what little Garden Warfare I’ve seen. However, more often EA earns its reputation as a “ruiner” of sequels and a largely blah game maker in general. We’ve got more than enough examples of that on hand in that regard. The more I hear about SWB3, the more I fear it is going to land in the latter category and it saddens me greatly. Space fights in a game about space fights? Forget it! The last two items bother me the most. Actually, no, the last item bothers me the absolute most. It is almost enough to get me to completely ignore this game altogether. For those not in the know Galactic Conquest was the best part of Star Wars Battlefront 2. There is no way to argue against that fact, so don’t bother. It is what my friends and I play when we pick it up nearly a decade after its launch. 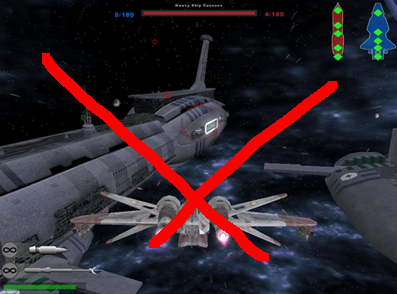 Essentially Galactic Conquest mode allowed you, or you and some friends, to play a “Risk-like” game against the computer or other players where you fight battles on planets and in space to gain footholds in the galaxy, obtaining perks that help you further dominate, and eventually conquering the galaxy. I can safely say that absent Galactic Conquest mode or something similar SWB3 remains a shell of its former glory. Granted the game isn’t even out yet so I can only base my interest level on what I’ve heard second-hand. What I’ve heard though has removed it from a “must have pre-order” to an “I may not even buy this game“. Honestly the game they are trying to get us excited about baffles me (for a sci-fi game called “Star Wars” you’re telling me we never even see space!?). The framework for how to make this game successful was already available for review. You take Star Wars Battlefront 2, you slap some fresh graphics on it, you add more maps and player options (not remove them), you ship it out. It was a task any rookie game developer could probably have handled but EA seems to have failed. I sincerely hope they allow people to mod this game. EA rarely impresses me, but this is just sad.